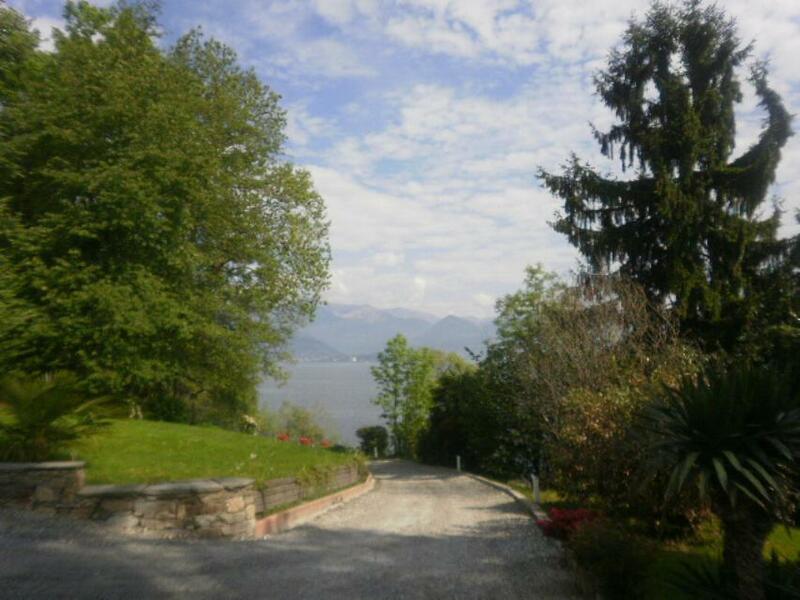 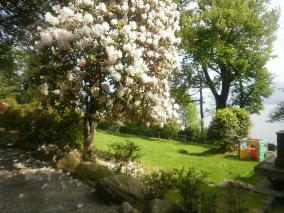 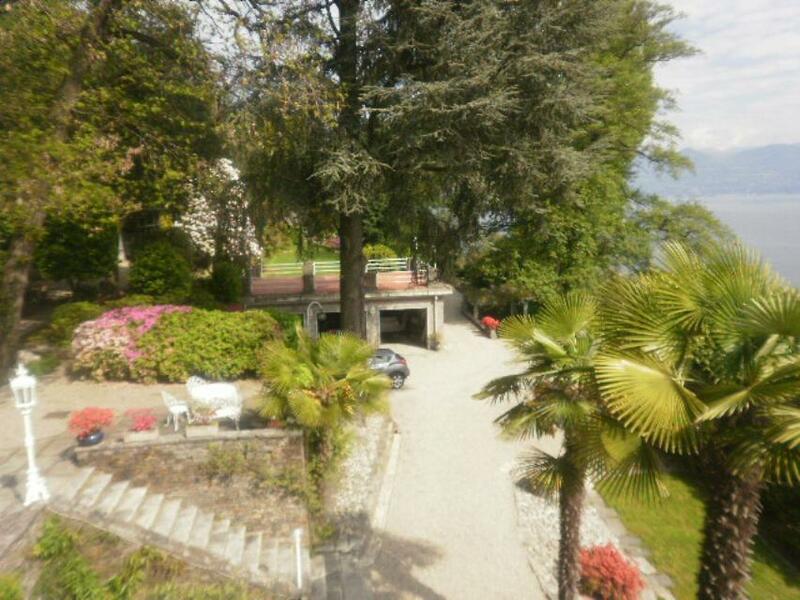 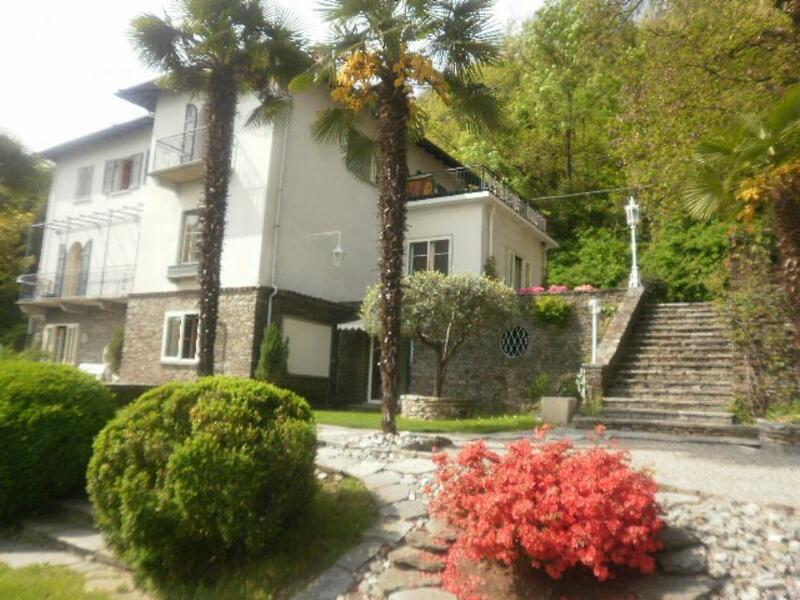 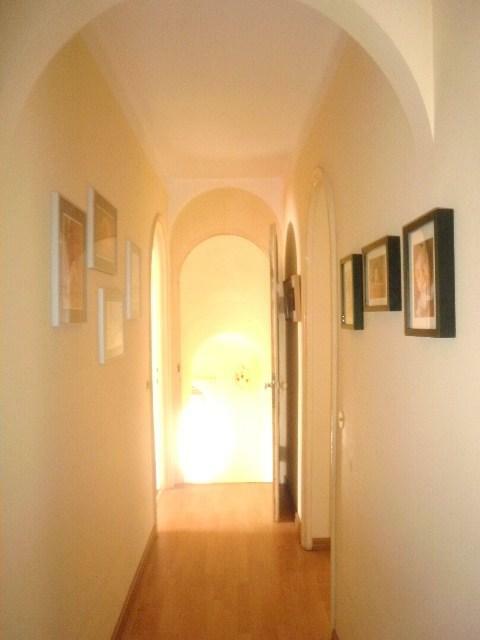 Lake Maggiore, Important Epoch style Villa with charming views and very large park-plot of land! € 1,800,000, Stresa, Piedmont. Italian holiday homes and investment property for sale. 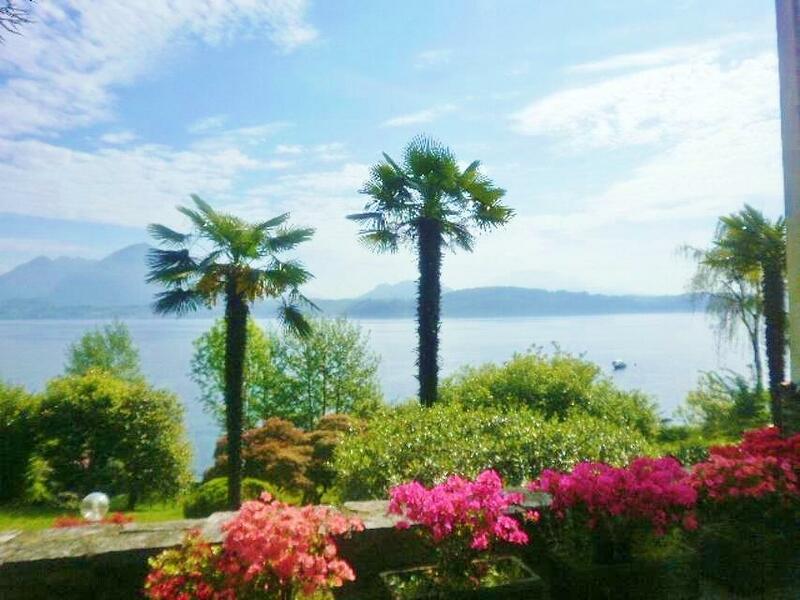 Stresa, ancient villa situated in magnificent position lake-front and embraced by a fabulous natural park. 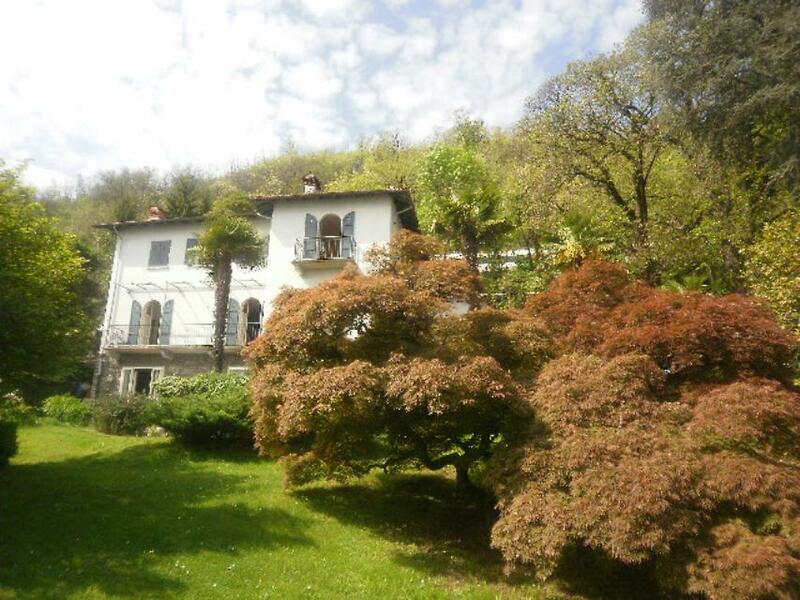 The villa, datinf from the early 1900s, has been restored, but still preserves part of the original features (stone walls, spring fountain, internal doors, antique furniture) and it is set over three floors. 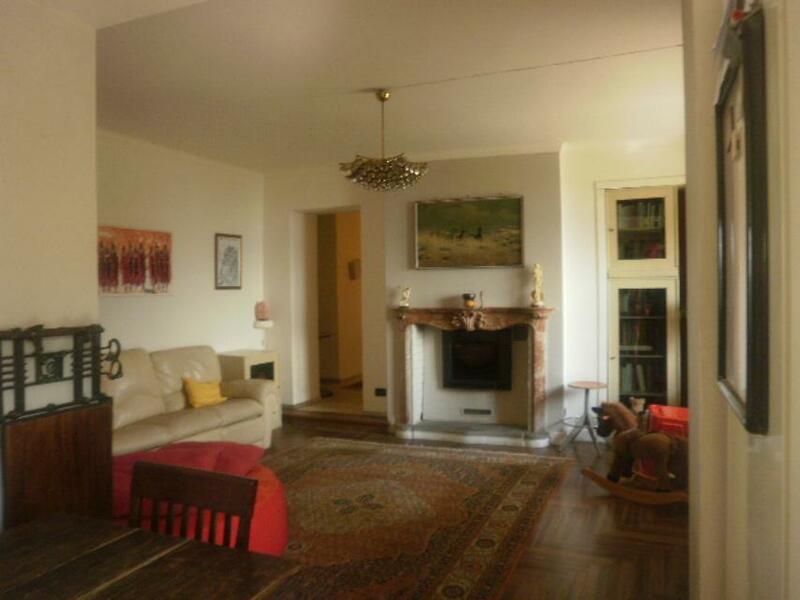 The semi-basement consists in an independent apartment made up of an entrance-living room with fireplace, two bedrooms, a bathroom, kitchen and a study. 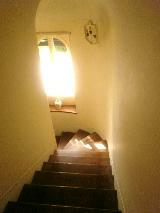 Ground floor: a spacious hall, double living room with fireplace, nice kitchen, study and bathroom. First floor: 5 bedrooms and double services. Wide terrace with lovely views on the floor. 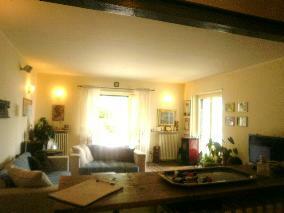 Garage and small garden house for tools. Mainly flat, the park is about 6600 sq m, very well planted with high trees and flourishing bushes. The property is completed by 4,000 sq m of woodland. 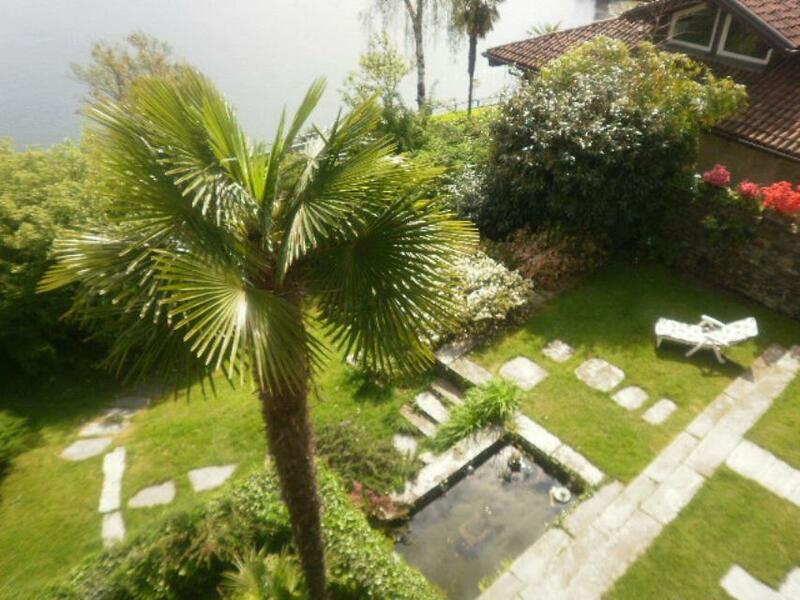 The lakeside promenade is ideal for relaxing strolls and is flanked by historic homes and luxurious hotels in Liberty style, all surrounded by nature. 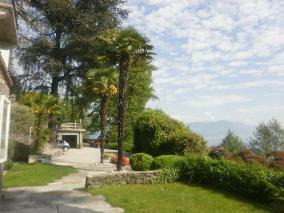 Popular, thriving, lively meeting places in Stresa include the square at the landing stage and Piazza Marconi.